Hikaru Ishikawa is the CEO and Head of Product Design of Deeper Japan. Born in Japan and growing up in Austria, he is passionate about bridging cultural gaps and promoting diversity. He leads the company’s vision, strategy, and design. Prior to Deeper Japan, he has worked for Japanese MP Shigeru Ishiba, Morgan Stanley, and Inpex Corporation. He holds a BA in Political Science from Waseda University. Jeweliann Picardal is Director of Content Creation at Detouur. She joined Deeper Japan after working at an all-women social enterprise in Northeastern Japan. She holds an A.B in English and a minor in East Asian Studies from Harvard University and is committed to precise and effective cross-cultural communication. Before joining Deeper Japan in 2018, Satoshi Eguchi served as manager and sommelier at a fine dining restaurant, wine bar, and specialty coffee store in Tokyo. He has detailed knowledge and interest in the regional cuisines of Japan, as well as of the world and is a certified sommelier (Japan Sommelier Association). 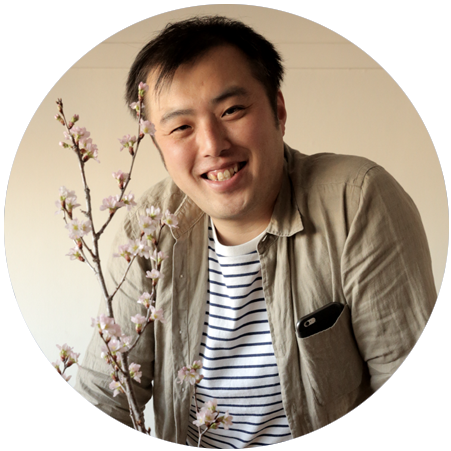 At Deeper Japan he utilizes his background in hospitality in partnering with local artisans to develop high-quality experiences. A creative all-rounder from down under, Sean joined Deeper Japan in 2018 and recently managed the rebrand from Detouur to Deeper Japan (with a few new grey hairs). Despite being passionate about all things Japanese culture, he still hasn’t acquired a taste for natto. Favourite artform: Ikebana. Western floristry can often be based on a ‘more is more’ approach. In Ikebana, I like that you can create a beautiful, powerful sculpture with just a few branches. Audrey Fiodorenko is Deeper Japan’s research associate, and so contractually obliged to be a research genius. Originally from Lithuania, she studied Journalism in London before moving to Tokyo earlier this year. Apart from passion for Japanese culture, she is obsessed with exploring Tokyo’s ever-changing specialty coffee scene.